UT Athletics goes beyond the variety of Spartan teams competing in Sunshine State Conference (SSC). Spring intramurals are in full swing, consisting of any students at all ages, with mens, womens and coed squads. In the earlier portion of spring semester, intramural sports included basketball, volleyball, floor hockey and spikeball. Intramurals include a blend of sports that are played at the Division II level at UT in basketball and volleyball, and sports in floor hockey and spikeball that cater to the general student body, as they aren’t sports played at a collegiate athletic level. The floor hockey and spikeball sports of the world are critical for intramurals, as it stresses the point that these intramurals are meant to be competitive, but laid back and fun at the same time. 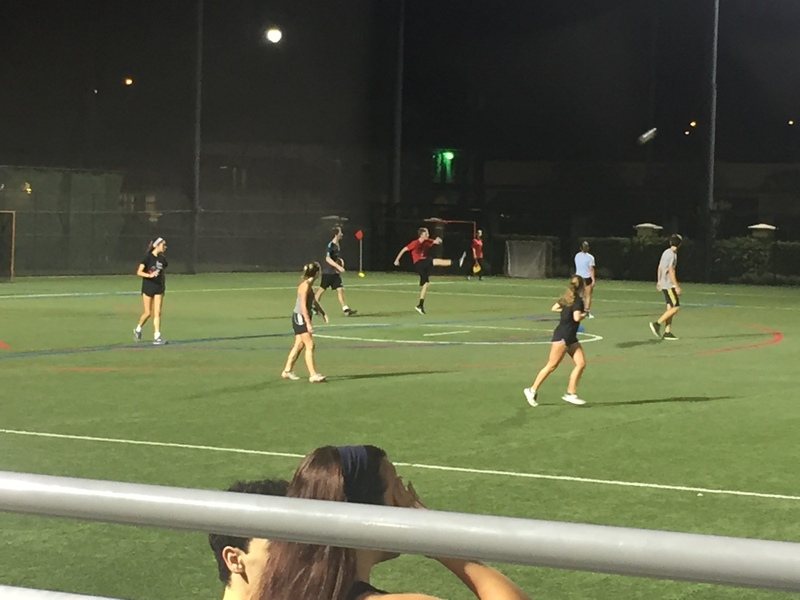 In the back end of the spring, soccer, softball and dodgeball highlight intramural sports. These three began playing March 26. There are plenty of ways students can find their way to get involved in intramurals. Sophomore Eric Abruzzi, and softball player for the “Quit your pitchin’” squad, is an example of someone who utilized one of the student organizations on campus to get involved. As far as suggestions for improving intramurals, Abruzzi would like to see a greater incentive to strive to win the championship at season’s end. “Maybe moving forward they should have a prize better than a t-shirt for the team that ends up winning the championship,” said Abruzzi. On top of not earning a special prize for winning in intramurals, one of the biggest ways intramurals at UT can improve moving forward is expanding the regular seasons for different sports. Soccer and softball each have four game regular seasons. Whereas dodgeball, which is a mini league, only has a three game season. It’s extremely difficult for students to be fully invested and care about intramural sports when the length of the season is so short. It also creates a decisive disadvantage for teams with players who aren’t all that familiar with one another, forced to build camaraderie and comfort playing with one another in such a short time span. Each of these spring sports have a few unique rules specifically used for intramural play. For softball, there is a total of five innings that must be played within a 45-minute time span. At the plate, batters begin with a 1-1 count. For pitchers, who deliver the ball in a soft toss, underhanded delivery, must be removed from pitching if they pitch seven consecutive balls. This set of rules is meant to speed up play and heighten the importance of each individual pitch. Abruzzi sees intramurals at UT in particular to be very critical because of the lack of school spirit and interest from the student body to Spartan athletics. As someone who played baseball throughout his youth and high school years, Abruzzi finds some satisfaction in playing on the diamond once again. “I wouldn’t say my playing days feel completely revived but it is nice to play competitive sports again. I like that it’s a step up age wise but it’s more messing around and having fun with your friends,” Abruzzi said. Transitioning to another field of play, coed soccer takes place at Naomoli Field in the spring. The differences in intramural soccer from usual are a female must get a touch once per possession. Any goal will be negated if a female didn’t touch it on that possession. The game in intramurals is also less physical than regular soccer, as there are no slide tackling or shin guards. Similar to Abruzzi, freshman Forensic Science major Sydney Klopfer and member of “715 FC” intramural soccer team, enjoys the care-free nature that comes with intramurals. “It’s so fun because none of us on our team are serious athletes, so there’s no pressure on any of us because its a less serious environment,” Klopfer said. Klopher and the rest of the “715 FC” team all have an advantage of familiarity. “This team has all been close with one another for a long time, our captain loves soccer and has played his whole life, and thought it’d be perfect to put this team together,” Klopfer said.